This questionnaire and the hiring of field staff in more than a dozen key states are the result of Bloomberg’s pledge in April to spend $50 million this election year to help support candidates who will back further gun control efforts and to combat the politically powerful National Rifle Association. Among the issues his group will ask candidates about include one of its priorities: closing the so-called gun show loophole where not everyone who buys a gun at a show must undergo a background check. Other issues it asks about include tightening possession restrictions on domestic abusers, prosecuting gun traffickers and preventing access by children to guns, according to a copy of the questionnaire. “Now it is time for political candidates to tell us where they stand,” John Feinblatt, president of Everytown for Gun Safety, told reporters Monday on a conference call. As it decides whether to endorse candidates, the NRA gives them letter grades based on a private survey as well as their records. Group officials told CNN they believe history has shown loyalty is not just based on how much money is spent trying to build loyalty. “The power of the NRA does not come from the questionnaires we send to people who are running,” spokesman Andrew Arulanandam said. It is expected that by early fall the NRA will have made all of its mid-term endorsements. As a political force, Everytown is trying to match the success seen by the NRA. Everytown officials acknowledge gun control advocates need to do a better job of mobilizing their supporters and say this year’s election will begin to show whether they can succeed. This year will be the “first chance… not (the) last chance,” senior adviser Mitch Stewart told reporters. Stewart is a veteran of the Obama 2008 and 2012 campaigns. He said this effort will be data and metrics-driven, similar to what he oversaw in those campaigns. To help bolster its ranks of volunteers, help identify and communicate with voters who are supporters and to help mobilize their turnout at the polls, Everytown is hiring field staff in more than a dozen politically key states, including Arizona, Colorado, Minnesota, Montana, Nevada, New Hampshire, North Carolina, Ohio, Oregon, Pennsylvania, Texas and Virginia. Group officials said the questionnaire is part one of their Gun Sense Voter Campaign, which is trying to mobilize one million Americans to vote in the midterms for those candidates who pledge to support gun safety measures. They say so far more than 650,000 have signed. While polls have shown a majority of Americans support stricter background checks, the Senate last year failed to pass that as well as other measures despite the emotional fallout from the Newtown, Connecticut, school shooting and a strong push for the measures from the White House. Well of course the Liberals want to restrict your gun rights! That way the populous can't blast them to smithereens for screwing up the Country! Google PHILADELPHIA LAWYER by Maddox Brothers and Rose for an down to earth account. It's really aggravating trying to convey your thoughts rationally just to have them zapped because people don't agree. People are the problemm NOTE Chicago and Detroit and Illinois in general- A democratic controlled state from top to bottom– strict gun laws, unions in control, debt that God himself could not pay back– What's not to like? What are we, in year 6 of Mr. Obama's Presidency? Yet, here we are getting the sorry old canard "Obama just wants to take our guns away". Really? Anyone really believe that? Because under Obama, there have been serious extensions of 2nd Amendment Rights- and no abridgements at all. Do those of you promoting that lie like the fact the NRA and the GOP have lied to you? Better- can any of you cite even one instance where "guns have been taken"? Certainly not. Thank you for that observation. Remember when Obama was running for office? The radical right and NRA warned us very sternly that Obama would come for your guns. No doubt. Now we see it was a lie made to get tin foil hat types running for the voting booth. It was a LIE and it didn't work. Most liberals will compromise on reasonable gun control, but we are facing an angry gun mob led around by illusions. Rick McDaniel is right ! Bloomberg is anti Constitution.........and anti American. It's un American to want a better quality of life . It's about quantity of things to buy , stuff we don't need and more toxic products to consume . In red America, especially in the South, Bloomberg is the Wrong Face for Reasonable Gun Regulation. Sen. Mancuso is the Preferred Messenger. Bloomberg's ego is too big to see that. Barrack Obama knows that too. That's why he lets Mancuso carry the ball. Obama can check his ego to accomplish a Goal. Bloomberg can't. I don't see Bloomberg giving up his five ARMED security personnel. I know for the most part anyone he support I probably will not. People are the problemm NOTE Chicago and Detroit and Illinois in general— A democratic controlled state from top to bottom– strict gun laws, unions in control, debt that God himself could not pay back– What’s not to like? Actually rla. In MI everyone is legally packing heat. Anyone and everyone can get a gun in MI nowadays. They are actually trying to pass that same law here that they have in GA where you can basically carry a gun anywhere you go. Educate yourself before speaking on a topic that you apparently know nothing about. "What anti- gun folks don`t want to talk about is the fact that none of the laws they are cheering for would have stopped shootings like Sandy Hook or Aurora." That's because your parsing of the issue is a distraction and a mischaracterization. Making incidents like that less likely is the point. Nobody is arguing there is a way to stop them all. But that's ok...we understand: Because gun-fetishists want to take an absolutist position, they find it easier to deliberately mischaracterize everyone else of also taking an absolutist position....makes for better "us v. them" talk. "They also close their ears to the decline in gun violence over the past 25 years." You mean the 25 years that included an assault rifle ban and other changes to gun laws that made them either more restrictive or more effective? But, of course, if we're being honest, none of that actually happened during Obama's presidency, which has actually done only one thing, which is EXPAND gun rights...national parks, Amtrak, etc. "I don't see Bloomberg giving up his five ARMED security personnel." That's some champion irrelevance, Scooter. Kudos..
You are statistically more likely to be shot or suffer some form of gun violence, injury or accident if you are anywhere in the state of Louisiana than you are in the city of Chicago. I cite Louisiana because it has the most lenient gun laws in the country...but the same goes for several of the other states with very lax gun laws. You and the MSM just like to focus on Chicago and other inner cities because it's more sensational and, well, because there's that little element of racism involved, which runs as subconsciously rampant in the MSM as it does the rest of the country. Oh yeah and rla... MI is controlled completely by Republicans. We have a GOP Governor, AG and most of our reps are GOP. Try Google... It really works. "Well of course the Liberals want to restrict your gun rights! That way the populous can't blast them to smithereens for screwing up the Country!" If you don't know what's wrong with that statement, then you can never qualify as a "responsible gun owner." 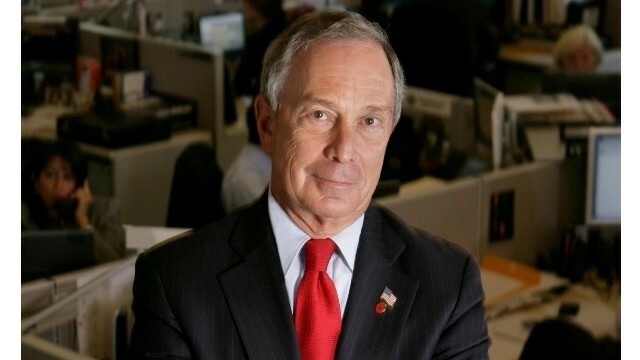 Bloomberg has ARMED GUARDS around him and his family 24×7, and he's pushing for gun restrictions?? I'll vote for any candidate who's AGAINST Bloomberg's vision of the future – Bloomberg is blantantly dangling money out in front of candidates to get them to parrot his perspectives. He's 'buying' our Government.......I'd like to hear a Democratic defense of Bloomberg's tactics here, and how it's different from the Koch brothers (hint: it's not). Political corruption goes deep in American politics today. Money buys elections. @Sniffit-Less likely to happend? How? You think all the suuden a killer is going to follow the law? Gun violence has declined after the AWB expired, it didn`t increase after it expired.